New York isn’t the only state that allows abortion up to birth. Before New York lawmakers voted last Tuesday to remove gestational limits on abortion, seven states and Washington, D.C. already had laws allowing third-trimester abortions. Similarly, all states that have laws banning late-term abortion still allow exceptions under certain circumstances, as noted by the Guttmacher Institute, an organization that advocates for abortion rights worldwide. Such exemptions include “babies with physical anomalies, and the health of the mother, which can include ‘mental health,’” according to the pro-life group Operation Rescue. The seven (now eight) states that have no gestational limits on abortion are: Alaska, Colorado, New Hampshire, New Jersey, New Mexico, New York, Oregon, and Vermont, along with Washington, D.C. Despite abortion up to the time of birth being legal in several states and the nation’s capital, there are only five clinics nationwide that perform late-term abortions. Two are in states that allow abortion up to birth and three are in states that prohibit late-term abortion but allow exemptions (California, Maryland and Ohio). 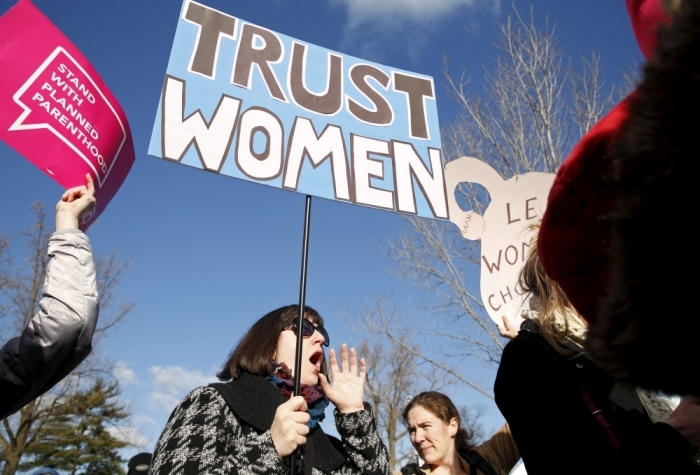 Among the states that have no abortion limits, so far only Colorado and New Mexico have clinics that will perform abortions up to 32 weeks and later on a "case by case basis." Those clinics are the Warren Hern’s Boulder Abortion Clinic in Boulder, Colorado, and Curtis Boyd’s Southwestern Women’s Options in Albuquerque, New Mexico, which The Christian Post has reported on in the past (here and here). And at least one clinic in Washington, D.C. offers abortions up to 36 weeks. Other clinics in states with unrestrictive abortion limits have set their own caps. A clinic in New Jersey performs abortions up to 25 weeks, Oregon at 24 weeks, New Hampshire up to 17 weeks, and Alaska and Vermont up to 16 weeks, Operation Rescue has found. In New York, which has 87 abortion clinics according to Operation Rescue’s 2018 clinic survey, 60 only perform abortions up to 14 weeks gestation. “There were 17 clinics that limited abortions to 23 weeks or under. Ten clinics were willing to abort through 24 weeks, or the end of the sixth month of pregnancy,” the organization noted. The abortion bill signed into law by New York's Democrat Gov. Andrew Cuomo last week not only allows abortion at any time to protect the "patient's health," but it also says, “An abortion may be performed by a licensed, certified, or authorized practitioner within 24 weeks from the commencement of pregnancy …” This allows health care practitioners who are not doctors to perform abortions. In response, Operation Rescue President Troy Newman likened the law to having "a phlebotomist take out your gall bladder." There are fewer than 10 abortionists in the United States who will perform late-term abortions, which take three to four days to complete, due to liabilities and risks to the mother’s life, says Operation Rescue. Three men who performed late-term abortions are now either in prison (Kermit Gosnell) or have had their medical licenses revoked (James Pendergraft and Steven Brigham). Lawmakers in Rhode Island have also introduced two bills in the state Legislature to make abortion legal up to birth, CP reported last week. The state’s Democrat Gov. Gina Raimondo has already said that, if passed, she’d sign the “Reproductive Health Care Act” into law. In Virginia, Democrat delegate Kathy Tran has introduced a bill in the House of Delegates that would legalize abortion up to birth, "even at the very end of pregnancy when a woman was going into labor," National Review reported Tuesday (watch video here). While the number of independently operated clinics that perform second- and third-trimester abortions has declined, Planned Parenthood has been increasing its number of clinics that offer abortions at 20 weeks and later. Two years ago, 18 Planned Parenthood clinics performed late-term abortions; now that number is at 37, according to Operation Rescue’s 2018 Abortion Clinic Survey of abortion clinics nationwide conducted from Nov. 26 through Dec. 14, 2018. Planned Parenthood’s new president, Dr. Leana Wen, has said numerous times that she believes abortion is a “basic human right” and she's going to "fight for that every day." Last year, abortions performed at Planned Parenthood clinics nationwide increased to 332,757 — an increase of 11,373 abortions over the previous year’s report. As the number of abortions performed at Planned Parenthood clinics increased, their adoption referrals "decreased by 1,000 last year" to around 2,800, "which means that Planned Parenthood clinics performed 118 abortions for every one adoption referral," The National Review noted. Although Wen has touted Planned Parenthood as a major provider of women’s health care, in 2016 CP reported that its clinics were turning away pregnant women who wanted to carry their baby to term. Employees at several clinics told CP that the only service some clinics might provide to pregnant women is to dispense a packet of prenatal vitamins, but nothing else. In an investigative report released in 2017, the pro-life group Live Action found that among 97 Planned Parenthood clinics it called nationwide, 92 said they didn't provide services to pregnant women unless they wanted an abortion. Five clinics, however, said they do provide prenatal services to pregnant women.